Often when animators don't have finalized models to work with they will use unfinished ones on hand to do things. Usually these are replaced by finalized stuff by the time the work is released to the public. Wow that G2 concept art is amazing. It make's me wish this was how G2 actual world looked like. Where did those pieces of artwork come from? I don't think iv seen them before. 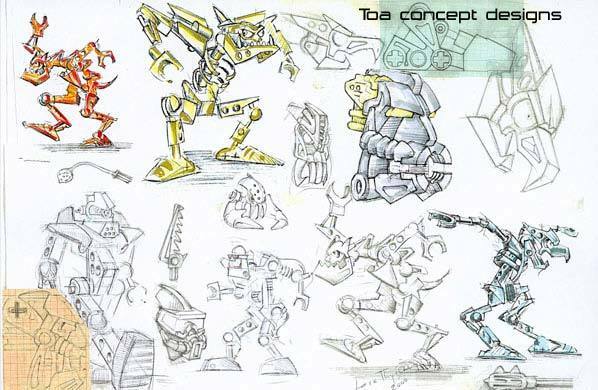 Personally my favorite pieces of bionicle concept art are the ones from the conceptual stages of 2000. 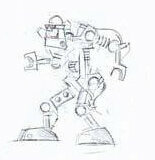 The hand drawn sketches with the characters more resembling actual realistic robots rather than plastic. I traced out the markings from that "a journey begins" 2015 poster and found this. Looks like a skull raider mask but I cant be sure. which portion of the poster is that from?I don't recognize it. That mask looks awesome (if it is a mask). 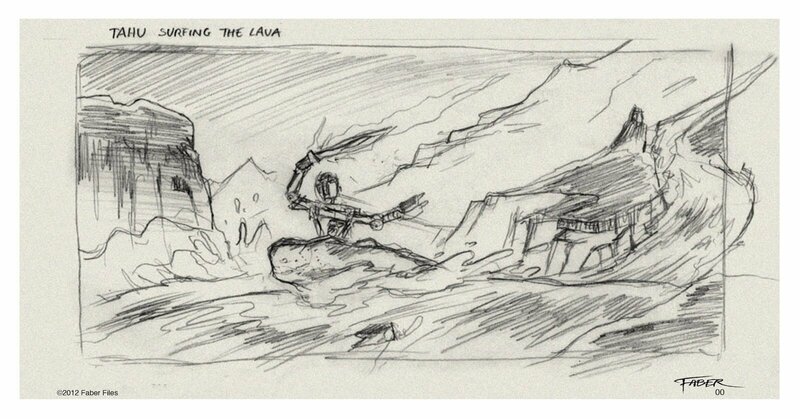 where did you get these images for G2 concept art?? The Okoto Gallery on Biosector01. If you look at some of the G2 concept art (released in 2015), it looks like this is concept art for the temples containing the Golden Masks of Unity. They would be like the 2015 ones. Until the replaced it with journey to one. By the way, does anyone know what the Corrupted Unity Masks do? Here's another page I just found. Here's some new stuff I found for old stuff. This is some early concepts from the research stage of development, for rahi for the VNOG game. They don't even look like Bionicle ...maybe vaguely but if you were to show me this without context I would think that they were for another game!